A few minutes walk from both Harrow On The Hill and Harrow & Wealdstone Rail stations. A number of buses serve the area, stops can be found along Greenhill Way and Harrow Town Centre. Click here to see the current price list for Rush Harrow. 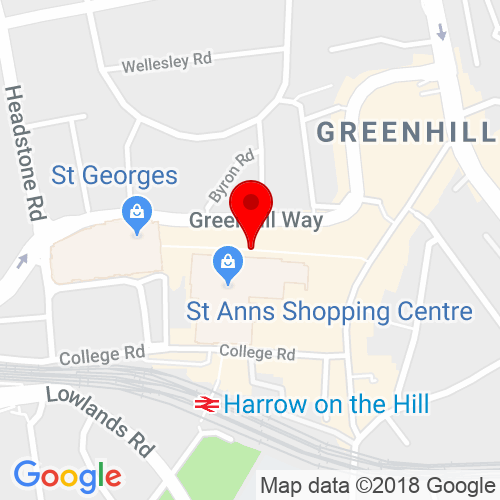 Found a short walk away from the train station, on St Anns Road, Rush Harrow is the latest addition to our range of sleek and chic salons, full of amazing stylists looking forward to providing you with the hair of your dreams. We aim to provide you with the best hairdressing experience, from the chocolates and drinks, through to your service and aftercare, our team are in place to ensure that your trip to the salon is perfect. Our aim is to provide you with the best hair possible, so sit back and relax with an indulgent head massage whilst our expert team discuss your hair needs and desires. 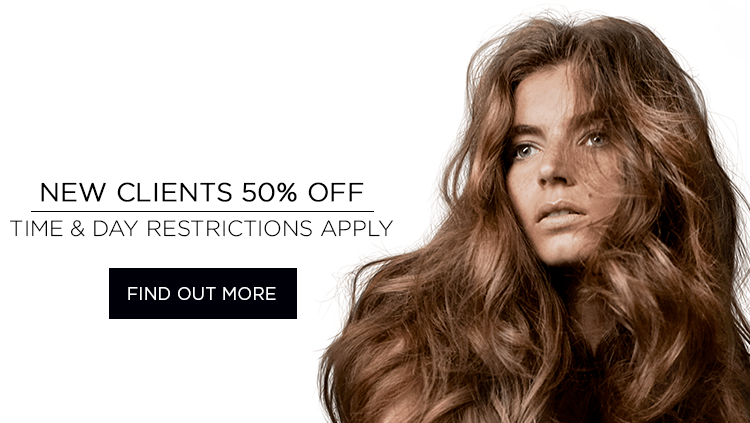 All our stylists are qualified and given the Rush stamp of approval, with teaching provided by our award-winning team, so we can make sure they know exactly how to provide you with the service you expect. Whether you are looking for a trim, a top up on your current colour or a completely different look, Rush Harrow can deliver! We know that healthy hair is happy hair so if you’re in need of some hair TLC we have an array of fantastic treatments that will make, and keep, hair looking gorgeous. 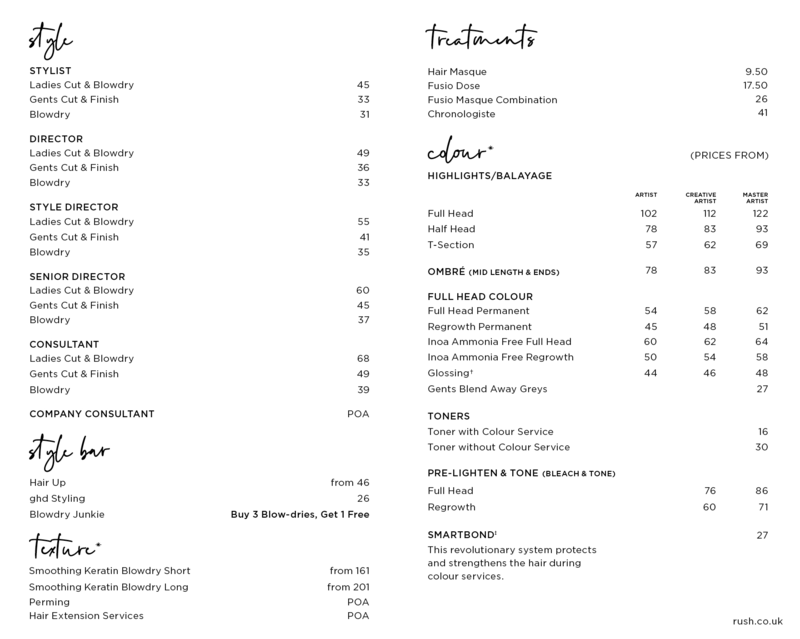 Please don’t hesitate to contact our front of house team today for more information about the salon and services we provide!